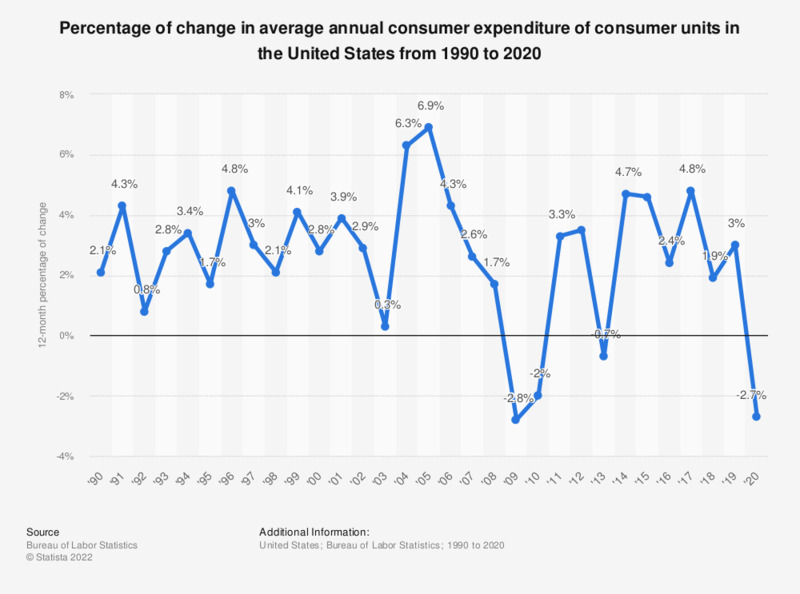 This statistic shows the 12-month percentage of change in average annual expenditure of consumer units in the United States from 1990 to 2017. In 2017, the average annual expenditure of consumer units increased by 4.8 percent. Access the figures showing how much an average consumer spends daily in the United States.